If I were Company of Heroes 2 right now, I’d be pretty miffed at SEGA. Why? Because they forgot our anniversary and are very blatantly trying to make up for it. Well, It’s not going to work, Company of Heroes 2 will stay annoyed and SEGA certainly aren’t getting any tonight. That much can’t be said for the fans. The fans and gamers around the world are getting a fantastic gift. 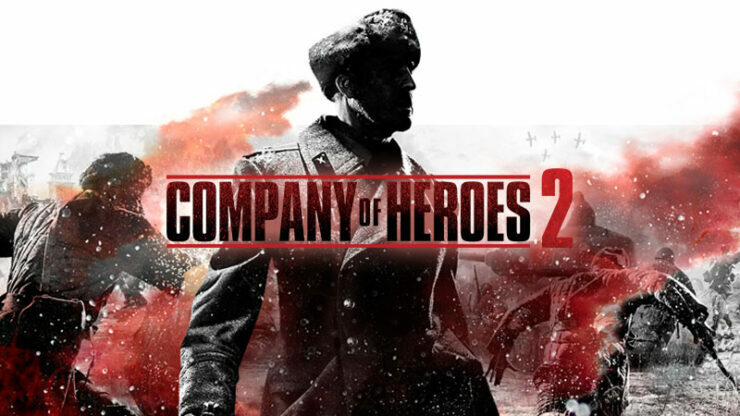 That gift is a completely free copy of Company of Heroes 2 on Steam, to celebrate the 5th anniversary of the game (Psst, SEGA – your anniversary was on the 25th of June. You’re nearly six months late). Despite only having two games, Company of Heroes is without a doubt one of the best strategy franchises out there, developed by industry and strategy game veterans Relic Entertainment (Homeworld, Dawn of War and Company of Heroes). Company of Heroes 2, while having a few flaws, is still a downright great game. In addition to the base game being free, the excellent Ardennes Assault DLC is available at 75% off, as well as all other DLC that was released for the game. This is still one of the most complete experiences you can have with a strategy game and to say it’s worth picking up is an understatement. Particularly with all of the advancements the game brought, including a realistic line of sight, terrain deformation and a constant need to make tactical decisions as the flow of battle changes. All you have to do is head over to the Steam page, add it to your cart for a grand total of bugger all and the game is yours. You have until Monday the 10th, 6pm GMT/1pm EST/10am PST to claim your free copy. Now get onto the battlefield and teach those Nazis a lesson.